You know when time slips away from you…I am feeling full of guilt as I have not posted for ages, and I apologise to those of you who nudge for an update. 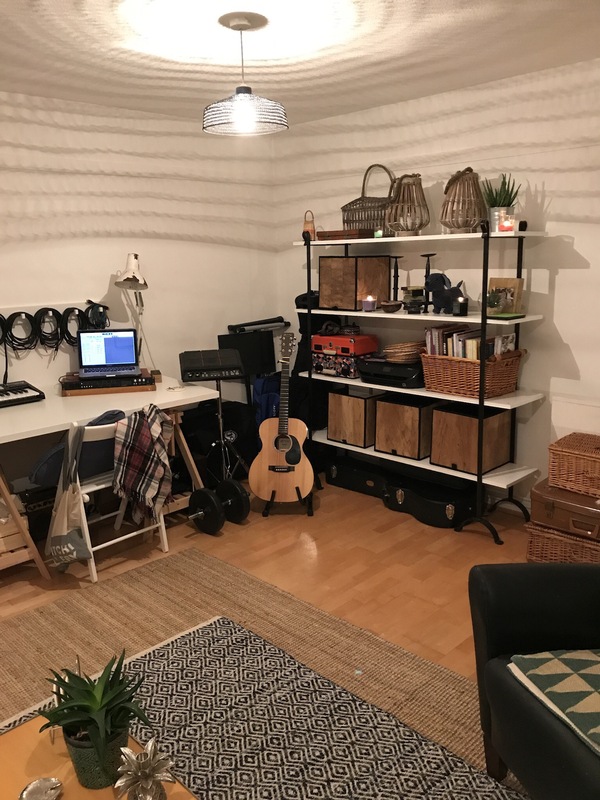 I have been really busy of late, my daughter has moved to London to study music at a Conservatoire and we did a 24 hour makeover on her new abode. 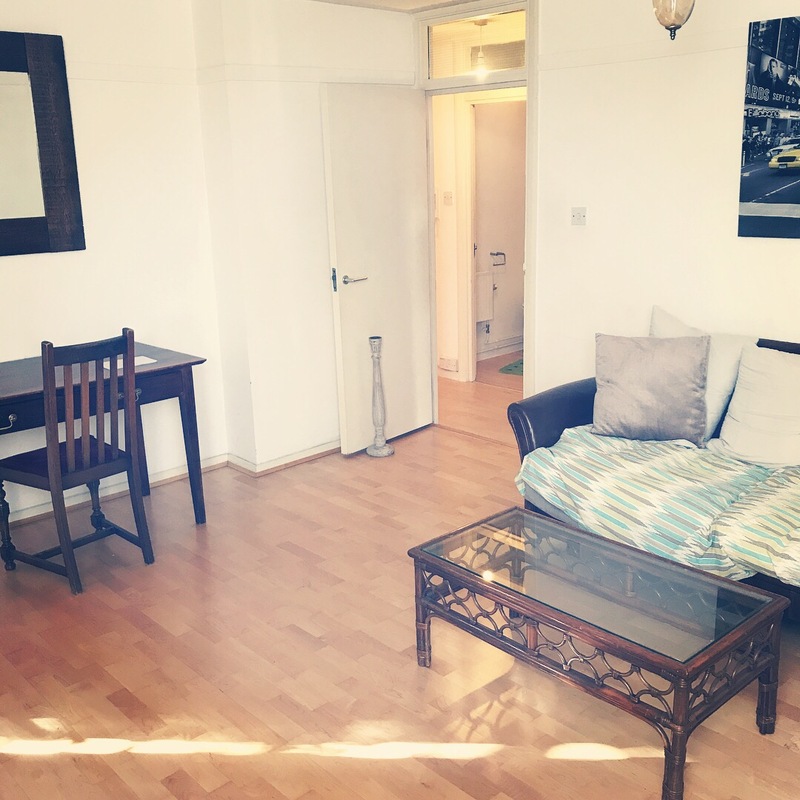 It is an unfurnished flat where she will live with her partner, and I really wanted her to have a clean, safe space that felt like home. So we hired a van, stripped my house of a lot of furniture and accessories and then headed up to the big smoke. Apart from getting a few bits at Dunelm and IKEA, the latter which I delighted in handing over for flat-pack building lessons, we had pretty much all we needed. Plus we had zero budget! It went from a dark, bland place to a rather smart des-res in 24 hours with a bit of creativity and styling. My daughter is definitely a chip off the old block, she had Pinterest boards ready to show me in the style she liked! It is very Scandi, with lots of palms, copper accents and retro touches. Here is the flat when we viewed it originally. 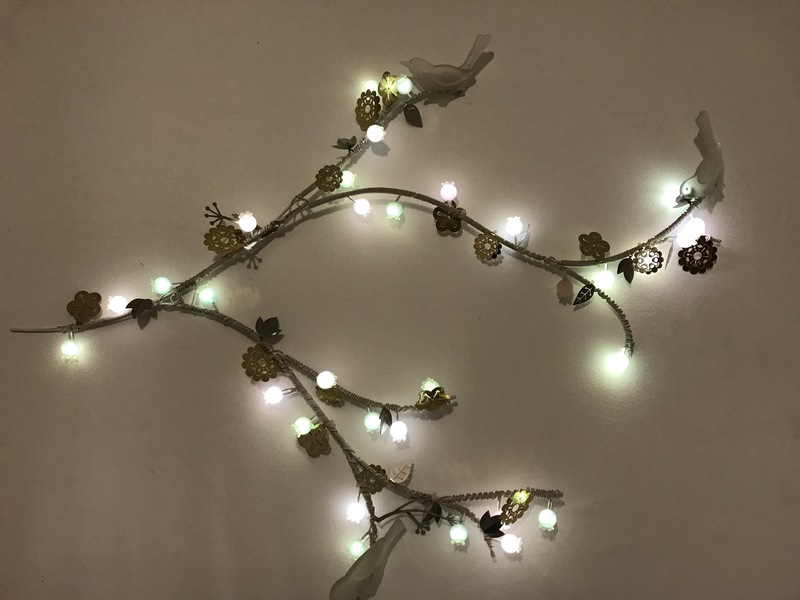 For the bedroom I made some great bedside lights from old IKEA wooden shelf brackets I had lying around. 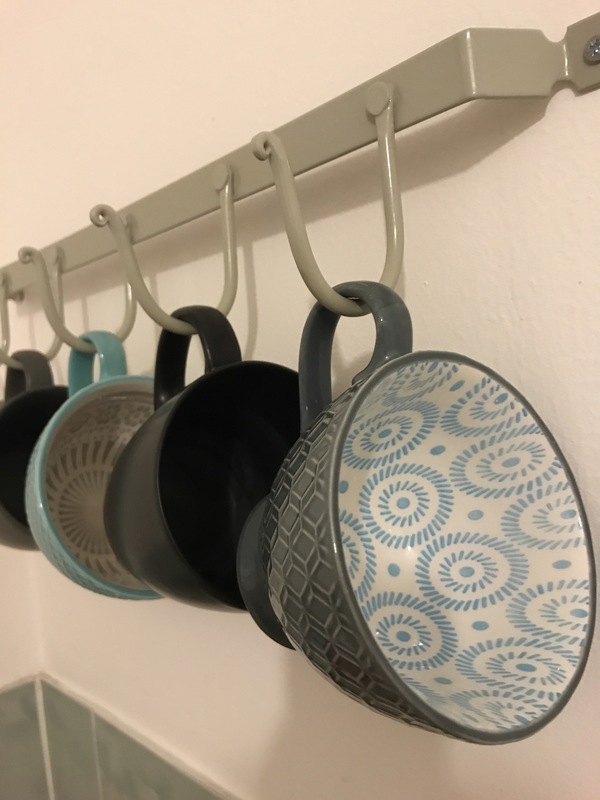 Using Annie Sloans Graphite chalk paint to jazz them up, I upcycled them into light holders. 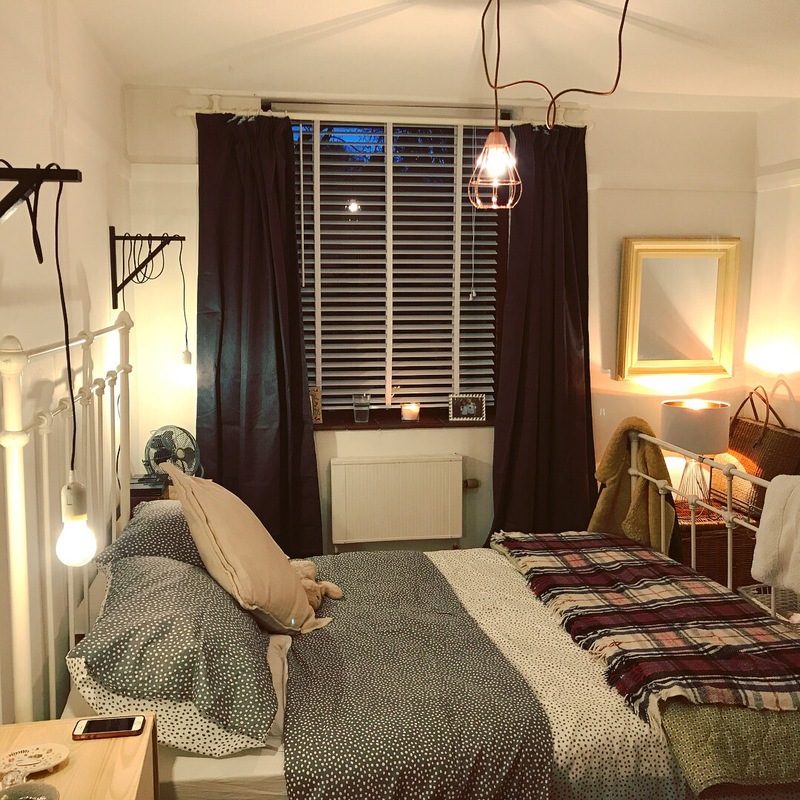 A long retro style pendant light with a filament bulb is wrapped around each one and hangs over the bedside tables. These were reduced to just £5 each at Dunelm so the total project cost just £10! The bedside drawers await a makeover with paint and new handles, I am trying to train up my daughter to embrace chalk paint! The sitting room has to be a multi functional space- living, working, a music studio and also a spare bedroom for when mum comes to stay (that’s me!). It is a good sized room which really helped. 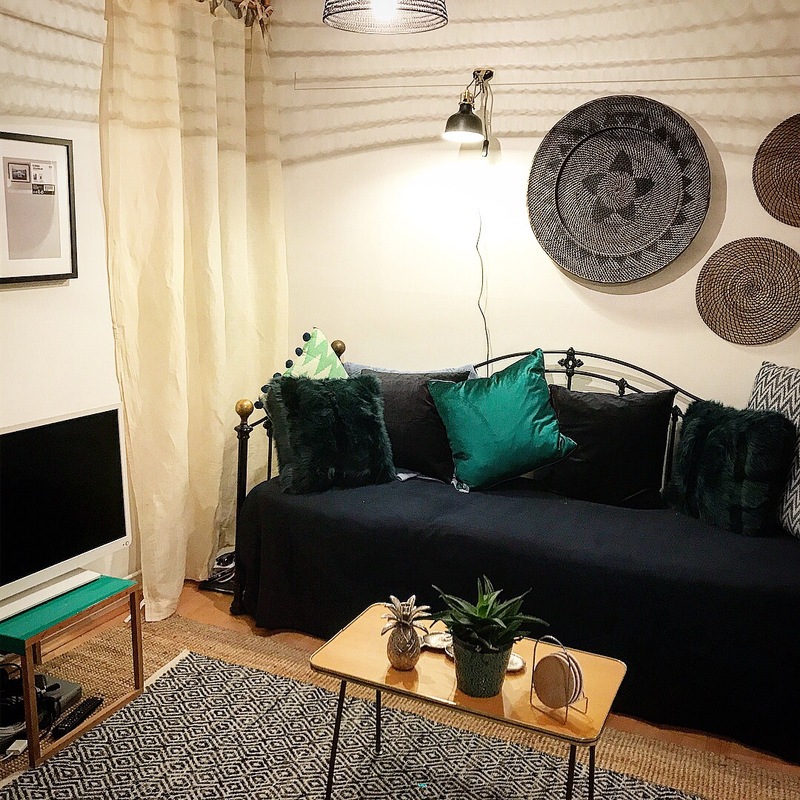 We used a day bed that coverts into a full double bed as a sofa, and covered it with lots of emerald green velvet and shaggy cushions. A leather chair from home and a cute retro table which my daughter’s boyfriend owned finish off the seating area. 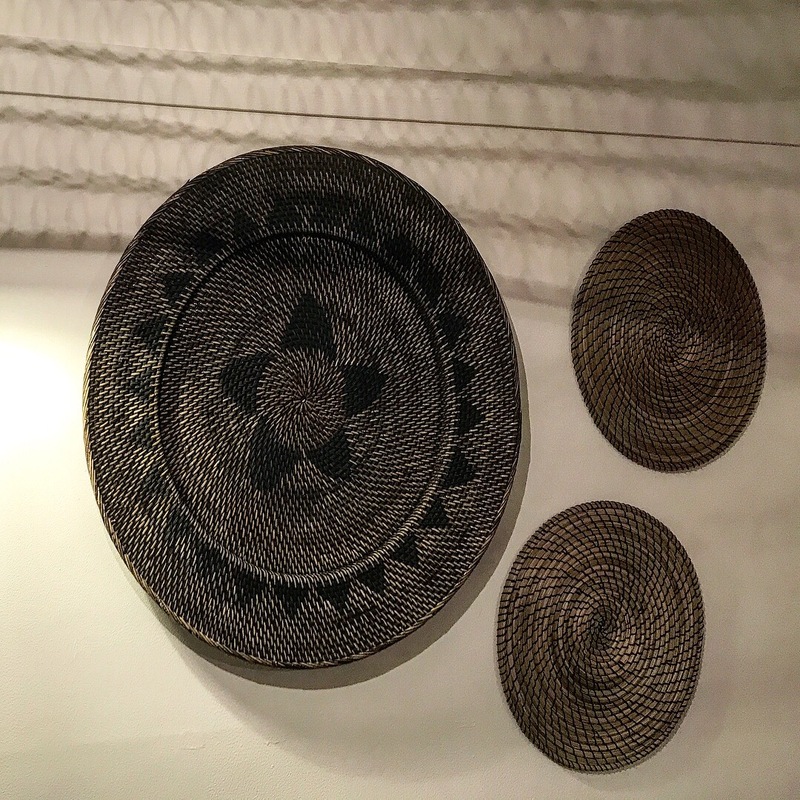 Above the daybed we hung large rattan plates as the start of a collection of natural objects. 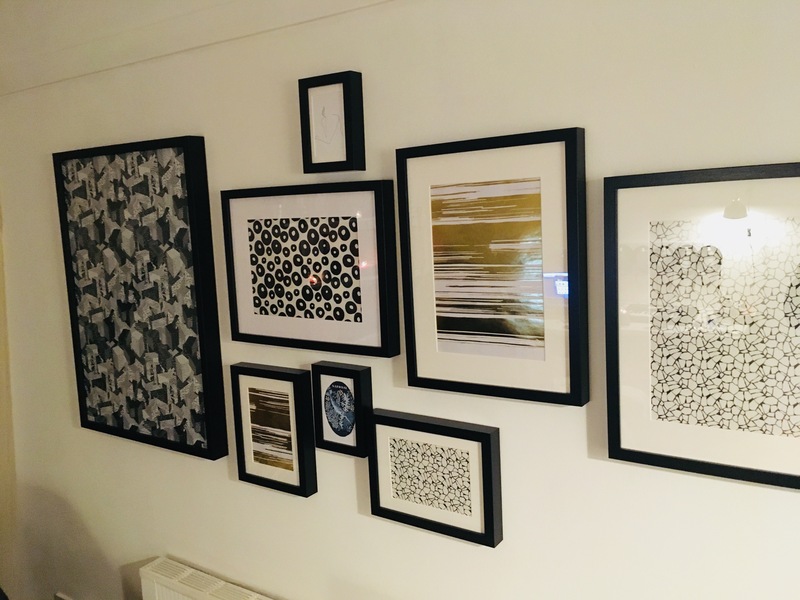 My daughter also started to map out a gallery wall with frames ready to fill. For the moment they have wrapping paper in them! 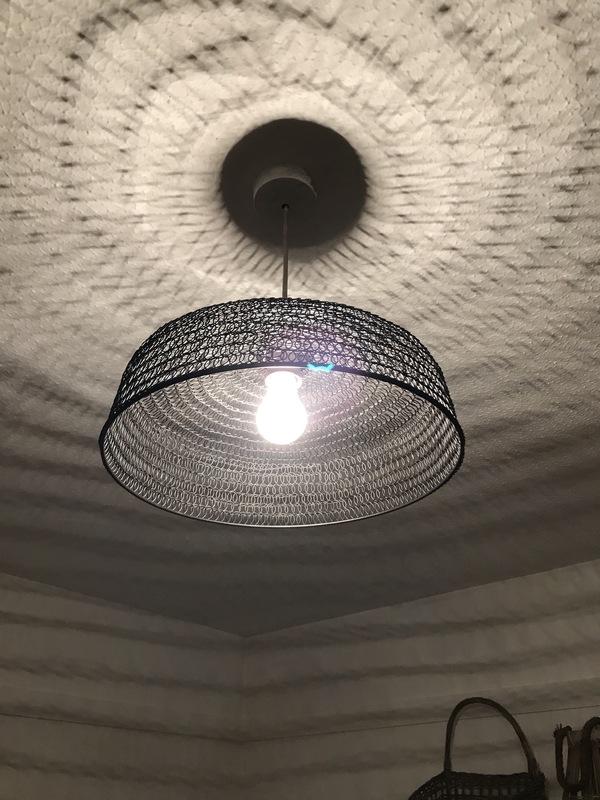 We got two lampshades from Dunlem which are made from twisted wire and they cast great patterns across the room. 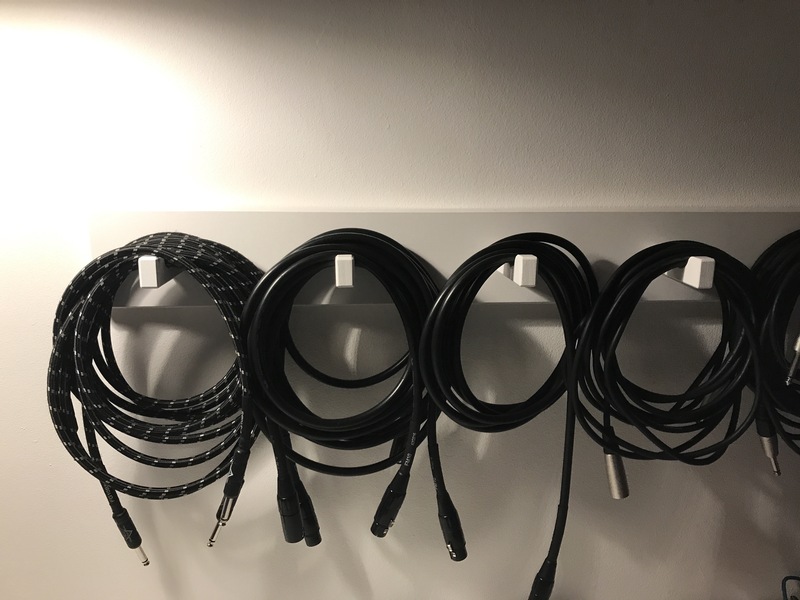 One corner is used as a recording studio, so IKEA came to the rescue with their work tables and some wall hooks for all the leads. I have had the shelves for years in storage and never got rid of them as I knew they would come in useful again. They got a lick of paint and have lots of baskets on them to stash things away. 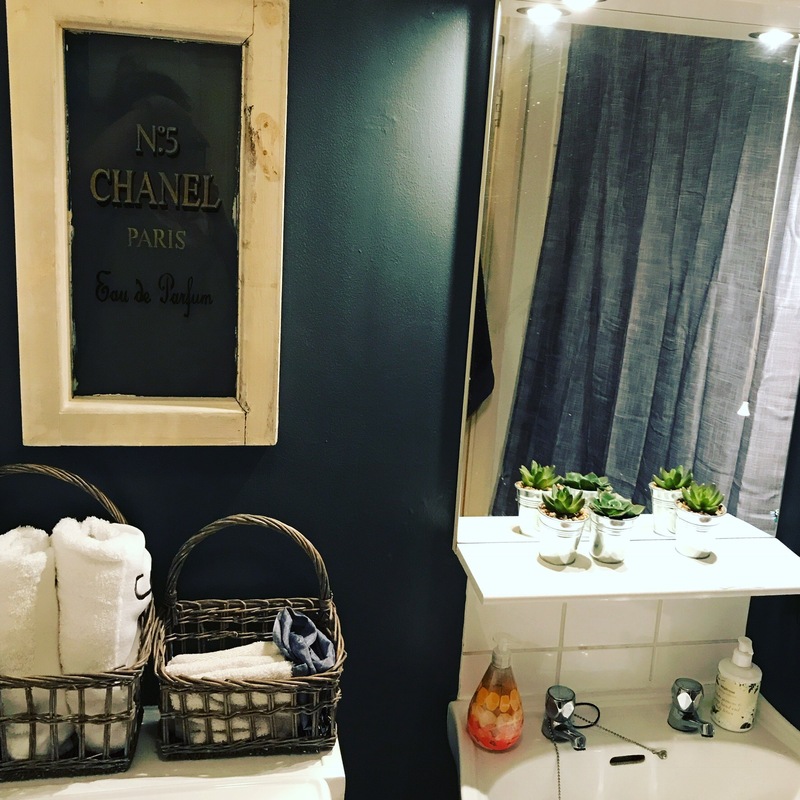 The bathroom got a fresh coat of paint and some accessories to jazz it up. 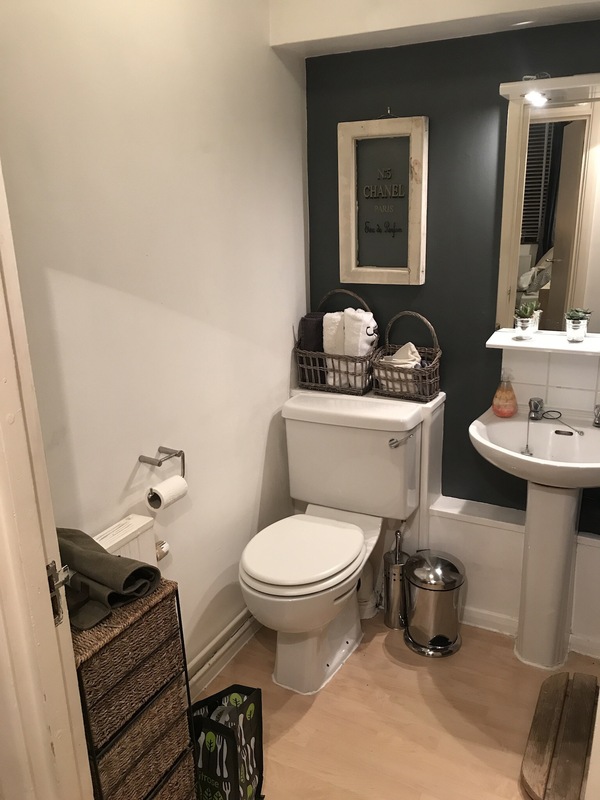 It’s very small so not many options to get creative, and I fitted a nice new loo seat, (it’s my least favourite job crawling around lavatories). 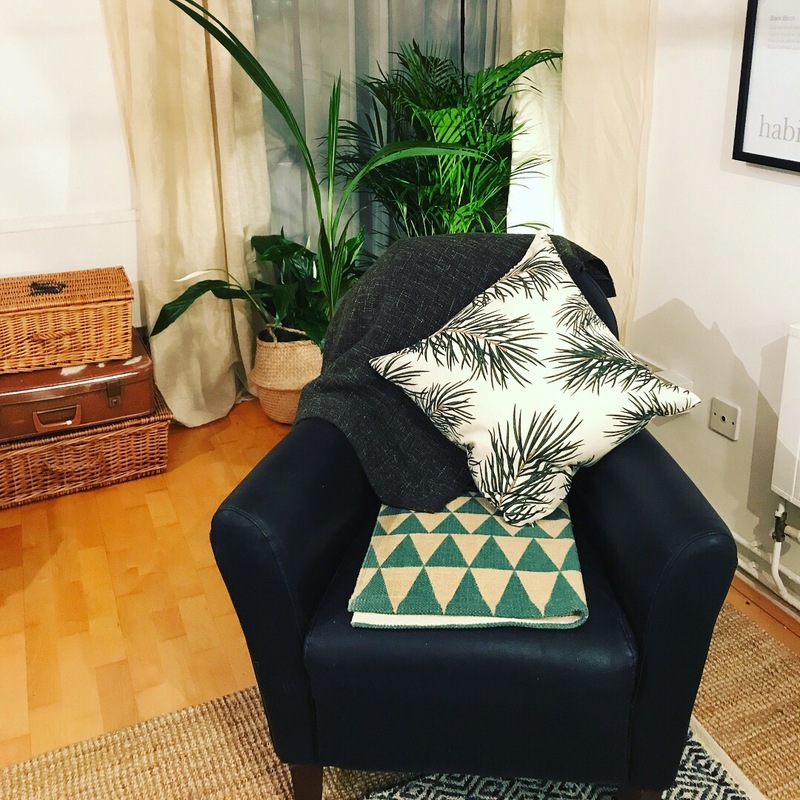 Finally we dressed the sitting room with layered rugs and lots of plants, and for a student pad it is pretty nice. In fact, my own student flat was grotty beyond belief so I think she has landed on her feet. 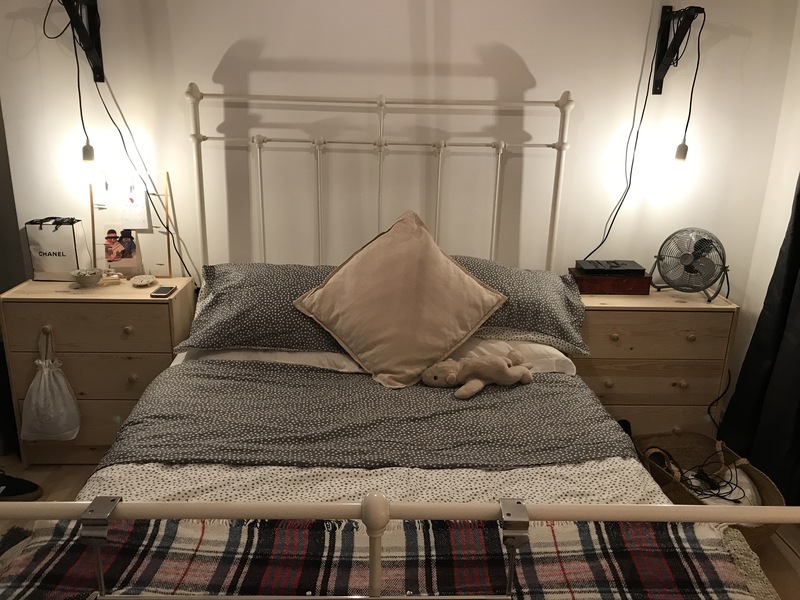 I drive home feeling exhausted in a large empty can, but I know she loves her new little home and it is somewhere to go and relax after very busy days at Conservatoire. Hang on! My daughter has nicer mugs than me 😳. There’s still lots to do such as hang pictures and sort out the kitchen, (which has a garden table and chairs in it for the moment until we find a bargain on eBay or gumtree). But they have a lovely home now and can grow into it themselves with their own styling and treasures, plus I can visit and pretend it is my pied a terre!